31 years! This month, Yellow Magic is 31 years old! And before we changed our name to Yellow Magic, we had been in business for about 10 years. That amounts to over 40 years of experience. And for those of you who would like to learn more about us, here is a link to see a video. Local Search, Reputation Management, Review Notifications, Sales Force Automation, Mobile Apps. We are indeed the one-stop source for companies that sell advertising, online or in print. Your complete directory can be published and distributed on an iPad or Android tablet for very little cost. Only with YelloTouch can a user see all of the listings and ads of a page or a page spread all at the same time and without clicking back-and-forth to see details. And once a YelloTouch directory has been installed and downloaded, no Internet connection is required unless the user wants to go an advertiser's website. 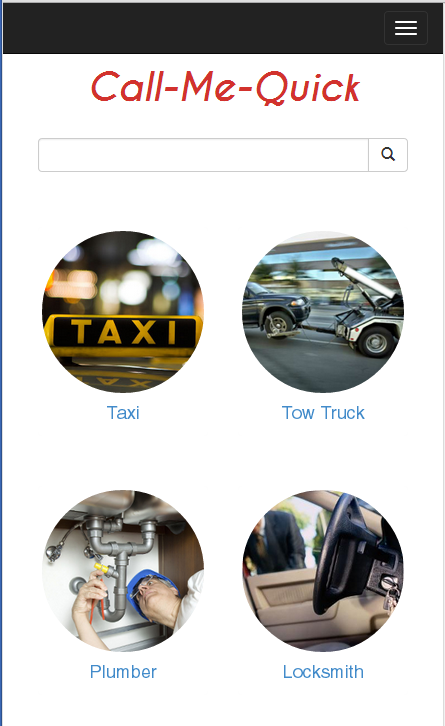 Download and install a demo directory and see how easy it is to use a look-and-feel mobile directory. YelloTouch directories deliver the rich content of the printed book with the search capabilities of a web. Maintain your corporate identity and the recognized look of your directory. And to see how you can track the usage, take a look at the Belize directory; Zoom in on Belize city to see the usage detail. 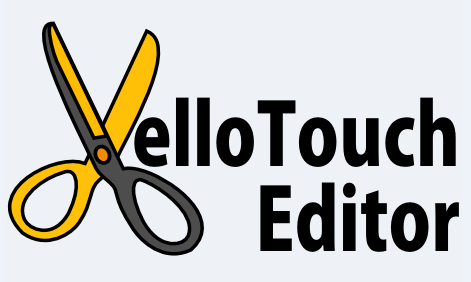 And with the YelloTouch Editor you can continue to add and update content and create new revenue. Download a book and try it yourself. If you have an iPhone, iPad, or iPod Touch, search for "Temecula Places" in the Apple App Store. And if you have an Android device, search for "Temecula Places" in Google Play. But the most important aspect of YelloTouch is not the unique technology, it is how the technology can increase distribution and create another profit center. Go to http://www.yellowmagic.com/publications/requestpub.asp?token=9999915102214 to learn how. For more information, please visit www.YelloTouch.com, www.YellowMagic.com, and visit our blog at http://www.yellowmagicblog.blogspot.com/. Happy Birthday to Yellow Magic – 30 Years Old! It’s hard to imagine how so much time as passed so quickly. I guess it is because we enjoy developing technology and evolving it as time changes. 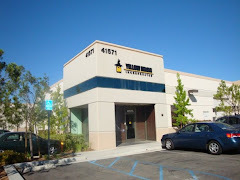 Yellow Magic Incorporated was born in Los Angeles in October of 1984. Back then, we called ourselves Composition Technology International and we were specialists in database publishing. We took data from databases and formatted it into pages that could be published and printed. We created many different kinds of directories, catalogs, time tables, technical manuals, guides, grocery store bar code shelf labels, and even bank checks. At one time over 80% of all paper checks printed in the US were formatted and typeset using our software. And we developed printing technologies. We developed a font scaling technology called the Geometric Primitive Algorithm and a language similar to Postscript called the Page Description Language. We even wrote the software to control a laser head that took input from a “Laser Artist” to create entertaining laser shows in the sky or in a planetarium. But each and every project we undertook required a lot of custom software, and we soon learned that other than the language, for the most part, telephone directories and the process of selling the advertising for them was almost universal. We developed 3 large-scale yellow pages systems, one in the US, one in China (the first batch pagination system in Chinese - and we made our own fonts), and one in Europe. But they were custom systems and very expensive. We had been developing on IBM mainframes and DEC VAX mini-computers, but when microcomputers appeared, we knew that was where we needed to go. We started out making contract entry stations for mainframes using TRS 80s, Kaypros, Osborne, Compaq, and other early microcomputer models. But then the IBM PC appeared. We finally foresaw a platform that could grow into being able to support the requirements of an off-the-shelf directory application. At the time, the IBM PC didn’t have the processing power, the disk space, the memory, networking, and a lot more that was needed, but we knew that since writing a directory system would be a lot of work, we would have to start before the hardware existed so we could be ready when it matured. And we were right. By the time we had Version 1.0 of Yellow Magic, the PC was growing into a business tool, not just a home computer. In 1988 we started alpha testing the new system, and by 1990 we had installed it in three publishers for beta testing. 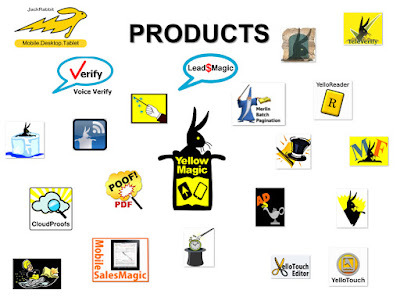 Then, in the spring of 1991, we announced the Yellow Magic Business Management and Publishing System to the world at an ANADP trade show in San Antonio. It was a huge success with people waiting in line for hours to see a demo. We decided right then and there that we were going to stop doing anything but directories and to concentrate on Yellow Pages. And in 1993, we changed our name to Yellow Magic Incorporated. To date we have licensed our software to more than 175 directory publishers in 56 countries, and support 24 languages. With a long history like that, you can be assured that we're ready for whatever the future holds. Our technology fully supports both print and digital platforms, CRM and sales force automation, mobile apps, and a lot more. We’d like to thank the Yellow Pages industry, its Associations, and most importantly our loyal customers, that helped us to reach this 30-year milestone. Murrieta, CA, August 19, 2014: Yellow Magic Incorporated, a global provider of print and electronic directory publishing and local search solutions for the Yellow Pages Industry, announced today that the company is preparing to launch a new app called Call-Me-Quick where a buyer states what he needs, and in moments receives calls from sellers of that product or service. In a discussion with Paul Duffy, Yellow Magic’s Regional Sales Manager, Mr. Duffy pointed out the importance of being able to track usage of an app. He noted that publishers and national advertisers get to see who was called, how many times, from where, and if the advertiser responded. Duffy already has a number of publishers getting ready for the big social media and other promotional media blitz that will occur with the formal launch, and we are in the process of refining the database. And due to the fact that there is almost no risk to include your advertisers (only 10 cents per advertiser per month to be included in the search results and only pennies for completed calls), it is a no-brainer to deliver highly qualified leads, branded to your company, and for a very small fraction of the cheapest of Google AdWords! Call us to get your advertisers included in the search! Call-Me-Quick is an app where a buyer selects what he needs, and in moments, receives calls from sellers of that product or service. The app shows popular categories for one-touch selection as well as a search box to find other yellow pages categories. When a category is selected, the user has an opportunity to state exactly what he wants, the three closest sellers in proximity to the user are selected, and the system simultaneously places automated calls to the selected suppliers. The suppliers receive the calls and hear an announcement that the publisher has someone who needs the product or service and to please press * if they would like to be connected. When a seller pushes *, a call is made back to the user and the seller is connected. The user can see which sellers were called and monitor the progress of these calls. Moreover, they will see other nearby sellers that they can manually dial. If the caller is in an area that is covered by a subscribing publisher, the search is made against the publisher supplied database. But if the area is not covered by a subscribing publisher, the results will be chosen from a national database. When a call is placed to a publisher‘s advertiser, the announcement will tell the business that the call was generated from the publisher’s directory. The Call-Me-Quick app will be available nationwide on the app stores. Use a single app that works everywhere in the US. Generates real-time sales leads for your advertisers and provides you with tracking data to know what calls the app generated. Publishers can see when and where the app was used and can download an activity report that details all calls. Here are many ways to turn Call-Me-Quick into profits, but here are a couple of ideas. First, sell participation in the service for a dollar or two a month. Or, use it as an incentive to buy advertising and include it for anyone that buys a quarter column or more. The goal is to increase awareness that your directory is delivering qualified leads and to augment revenue with an advertising product that is easy to explain and easy to sell.